Well this beef came out of nowhere but now we desperately want to see Dan Hardy and Matt Riddle wallop each other in the head. The power of Conor McGregor’s Twitter fingers knows no bounds. The worlds of the UFC and the WWE are colliding thanks to McGregor and folks are cracking each other with blindside steel chair shots all over The Internet for no other reason than their lust for keyboard violence. 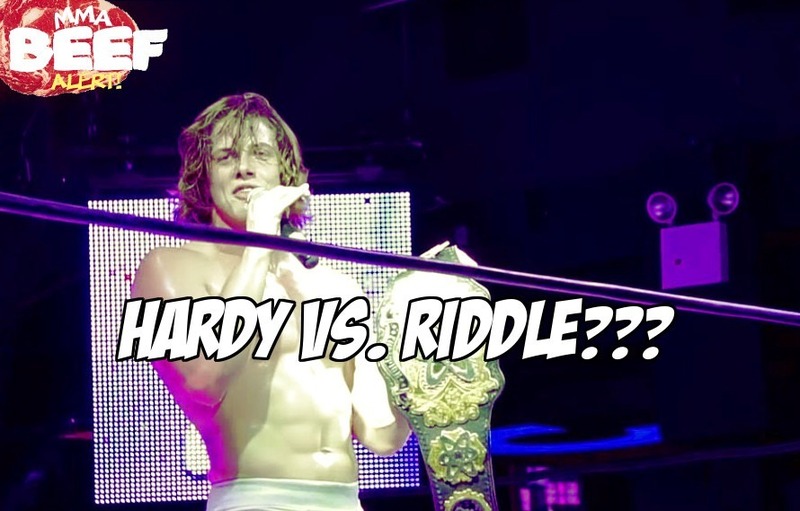 Former The Ultimate Fighter competitor, UFC welterweight and current EVOLVE pro wrestler Matt Riddle saw this MMA-pro wrestling crossover event as the perfect opportunity to unleash some deep seeded hate towards of none-other than current UFC analyst Dan Hardy. @riddletuf7 @dragonsfighter @lokesh1092 didn't you once say that you smoked weed so you didn't beat your kids? Whether it’s inside the confines of a steel cage or preferably in a MMA cage, Hardy versus Riddle kind of now needs to happen. Thanks for this one Conor. @riddletuf7 haha! Stick to the fake stuff you clown. I didn't train with you because you aren't worth my sweat. You are a chump. Next articleConspiracy Theory Alert: Were Georges St. Pierre and Nick Diaz both drugged before UFC 158?